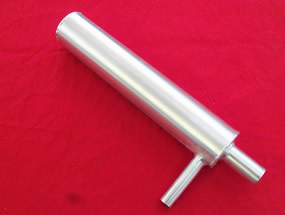 The QC-120 canister muffler has been designed for up to an 120cc Single Cylinder and 222cc Twin or Four Cylinder engine. The QC canisters are made of an all aluminum construction and have been developed for high performance while reducing engine noise. 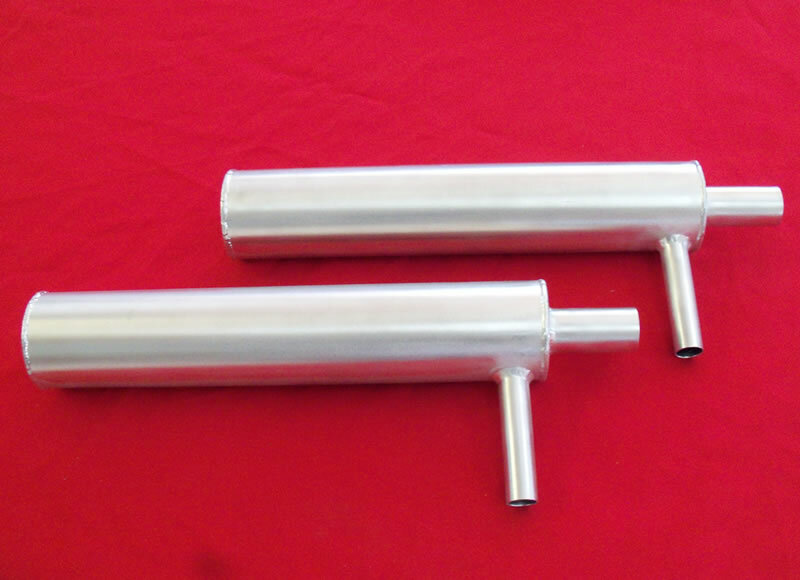 As with all of our mufflers the QC canisters are designed and Produced by JTEC right here in the U.S.A..
As tested by Desert Aircraft, the QC-120 canisters offer the most power for any canister or tuned pipes on the DA-200. They are also one of the lightest canister setups and will not clog like other brands.